The International Society for the Measurement of Physical Behaviour is a non-profit scientific society which focuses on the issues related to ambulatory monitoring, wearable monitors, movement sensors, physical activity, sedentary behaviour, movement behaviour, body postures, sleep and constructs related to physical behaviours. LEARN MORE.. 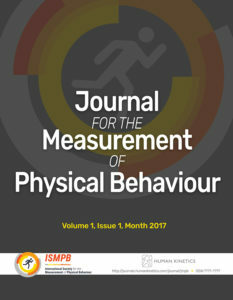 The Journal for the Measurement of Physical Behaviour is the official Journal of the International Society for the Measurement of Physical Behaviour and publishes high quality research papers that employ and/or apply sensor-based measures of physical activity, movement disorders, sedentary behaviour and sleep. Early Bird Registration Open until April 21st! 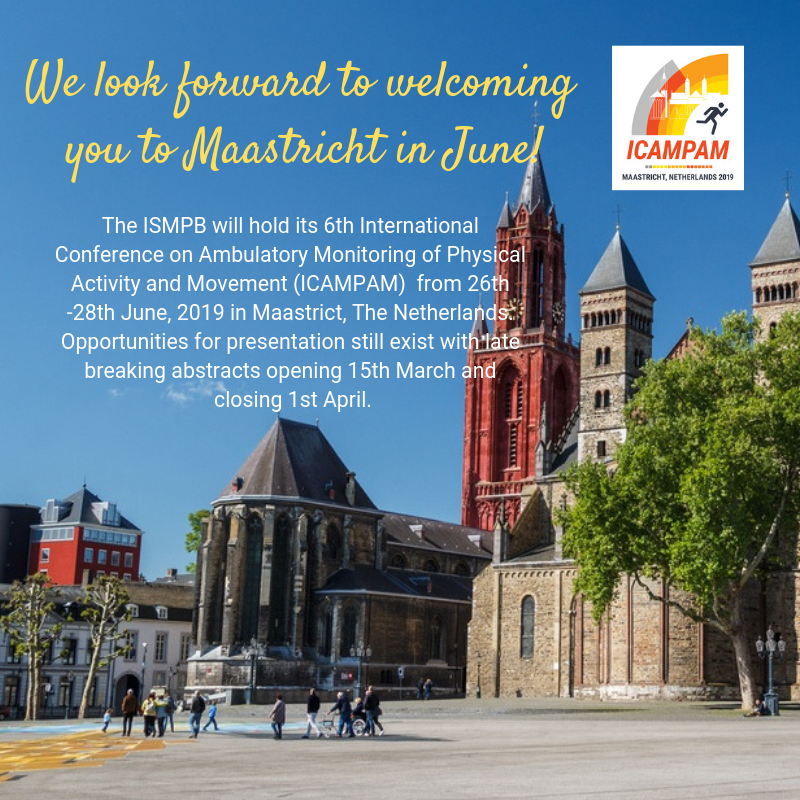 6th biannual meeting of the Society Ambulatory Assessment Announced! 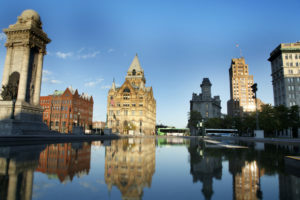 We are pleased to announce the 6thbiannual meeting of the Society Ambulatory Assessment will be held at the Marriott Syracuse Downtown in Syracuse, NY from June 19-22, 2019. 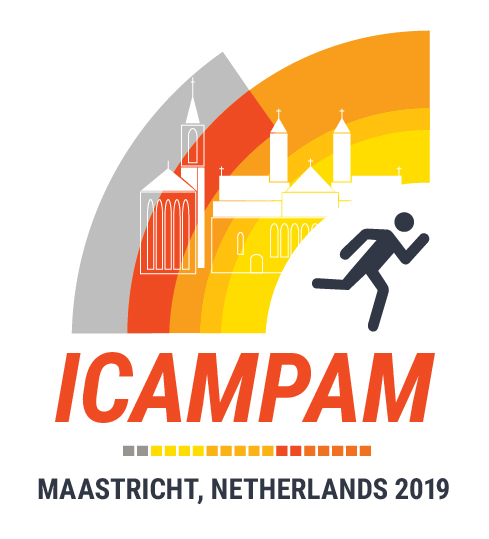 The theme for SAA 2019 is “Understanding How Persons Change: From Observation to Intervention.” This theme reflects the increasing capacity of ambulatory assessments to promote understanding of the individual, and the contribution that ambulatory interventions hold for promoting change in the individual. We particularly encourage submissions that integrate across domains of measurement, modalities, or that present novel applications of ambulatory methods or analysis. The submission and registration portals will open November 1st. Abstracts may be submitted for paper presentation, poster presentation, and symposium. Submissions related to the conference theme are especially welcomed. Abstract submission guidelines may be found on the website. Submissions will be due by midnight (Pacific Time) on January 15, 2019. Early bird registration will be available until April 1st on the website. Hotel rooms can be reserved at the conference rate ($154/night) only via the link on the website. if you have any questions or concerns. We look forward to seeing you next summer here in Syracuse!